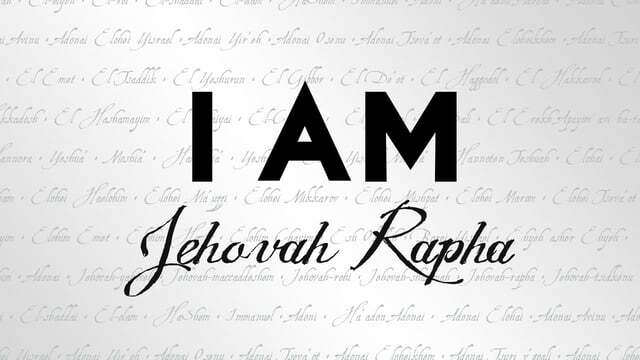 I Am Jehovah Rapha, your Healer, says the LORD. I heal all the time. This is Who I Am and what I DO. I Am changeless. My Word is infallible. I said that whosoever will may come and drink of the waters of life freely. You cannot earn what I have to give, and My gifts are unimpeachable. It is by MY Spirit that is unrestrained that you will be healed through the unleashing of your faith in WHO I AM and what I DO. It is the same forever. My power is the same! My presence is the same. My Spirit is moving! My WORD is infallible! Enter into it by faith, says the LORD. For I am the all-powerful ONE who is unlimited. I Am your GOD Who heals and delivers and came to set at liberty those who are bound. You can be free now, for I have already accomplished everything you need by My shed blood for you and My finished work on the cross for you. IT is finished, and needs nothing else. BELIEVE. RECEIVE, says the LORD. I have called you into My presence to receive of Me. Be filled with My power and become a conduit of My SPIRIT! Let Me use you for My glory! Let Me flow through you! I have already called you and commissioned you to go and bring for forth fruit that remains. Be faithful in all things that I have assigned for you to do NOW. DO not dismiss the small things or the things that seem unimportant and obscure and unnoticed by others. BE FAITHFUL in that which is a now opportunity for you. I Am watching. I Am listening. I Am recording, to reward you. For as you do what I ask you to do, small or great, I will reward your work and use you for My glory. I will entrust you with more as you remain faithful in the things that I ask you to do NOW. Your fruit will remain and I will not only increase your opportunities and open new doors for you, but will give you an increase of fruitfulness as you obey My voice and follow ME, says the LORD. Amen , My wellness is LORD !! I am woking on Abba/ Daddy. BE STILL…..REST IN THE KNOWLEDGE THAT YOUR GOD IS HEALING YOU.